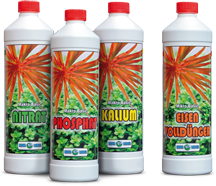 "The Mikro Basic Eisenvolldünger / Mikro Spezial Flowgrow / Mikro Spezial Eisen fertilizer in my new bottle looks much lighter in colour than the one I had bought before. Why?" A freshly produced micronutrient fertilizer has a much lighter colour than one that is a few months old. The light colour does not mean that there is a lesser concentration of nutrients or that it is less effective. In the course of time, a part of the trace elements in the micronutrient fertilizer oxidise, which leads to a darker colour. However, the efficiency of the fertilizer is not affected by this process. Any of our micronutrient fertilizers, be it light or dark in colour, can be used by the plants very effectively. "Which one should I use - Mikro Basic Eisenvolldünger or Mikro Spezial Flowgrow?" Mikro Basic Eisenvolldünger is highly suitable for weekly dosage but can of course also be given on a daily basis. Micro Special Flowgrow should primarily be used for daily fertilization as the less strongly stabilised nutrients remain in the water for a shorter time than those of our Mikro Basic Eisenvolldünger. We always recommend the use of Mikro Basic Eisenvolldünger to new users. Mikro Spezial Flowgrow has been designed for experienced users who often use this fertilizer together with a soil substrate in their tank. 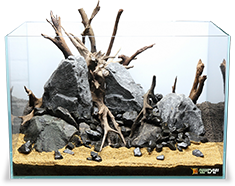 "Which CO2 checking solution is preferrable for my tank?" This depends on its use. 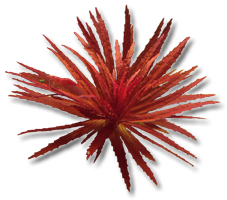 Do you plan to employ it in a social tank or in a tank with sensitive fish? In a heavily planted tank or aquascape? In a social tank or in a tank with sensitive fish like discus, we always recommend the CO2 Check 20 mg per Liter. It has been designed for a CO2 level of 20 mg/l, which should be sufficient for the plants in any case. If their CO2 requirements are higher because the tank is heavily planted or if you use the Estimative Index fertilizing approach we recommend you choose the CO2 Check 30 mg per Liter, in order to achieve a slightly higher carbon dioxide level.